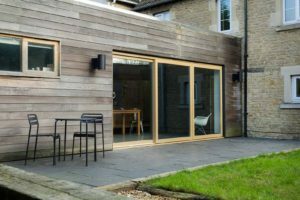 Patio doors feature an innovatively designed sliding mechanism that not only offers easy use, it also allows you to save space in your home. Capturing a beautifully modern profile, our uPVC doors exude crisp and clean edges for an aesthetically pleasing build. Utilising up to date standards of design, these doors uphold the very best standards of qualities available for you to enjoy. 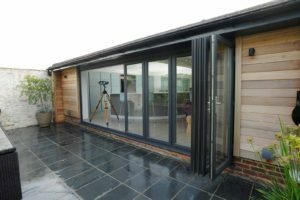 Due to the sliding mechanism that is inherent to the patio door design, you’ll be able to enjoy all the benefits of not needing a swing space. This not only allows them to be easily installed into all homes, it also allows you to enjoy a greater living space. The high quality, multi-wheeled rolling system featured in our design allows for smooth and efficient operation, every time. It also promotes product longevity, as it reduces wear and tear upon the operating mechanism. We use a 100% recyclable profile across our whole uPVC patio door range, allowing for high quality doors that are completely eco-friendly and sustainable in manufacture. Reduce your carbon footprint and enjoy the best, today. Our patio doors are intelligently designed to increase the heat retention of your property, achieving an outstanding A+ DSER rating. This allows you to enjoy reduced heating bills by improving the performance of your central heating. 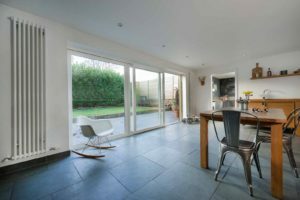 Achieving PAS24 standards of security, our patio doors offer standards of security that promise to keep you, your family and your property safe. The peace of mind these doors will bring are sure to make them a worthy addition to your home. 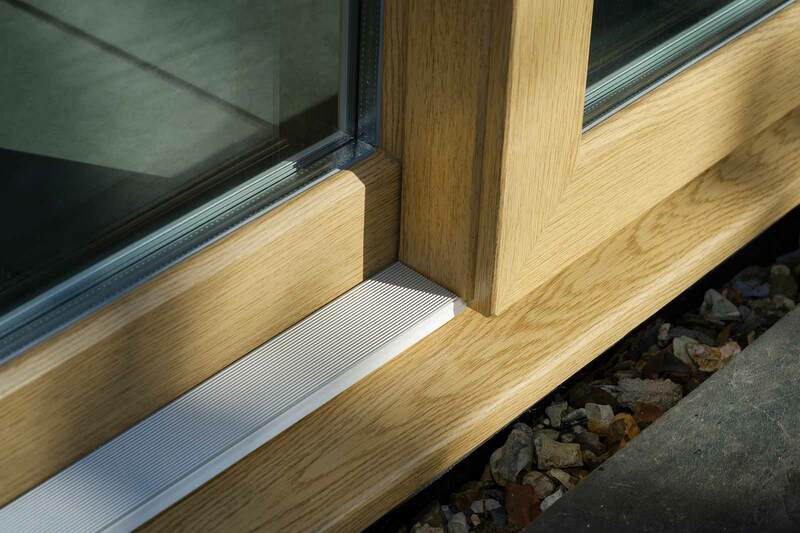 We use the new Slider24 uPVC patio door profile from Deceuninck. As the result of a meticulous and intensive design and testing process, these doors offer unbeatable standards of security, thermal efficiency and security. 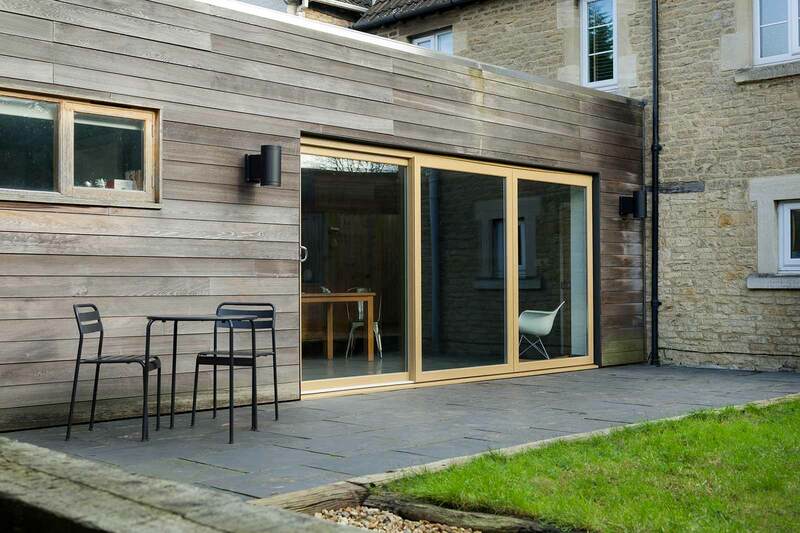 We also offer an outstanding range of patio doors from Synseal, utilising the outstanding ‘Evolve’ design. These patio doors are CE marked and guaranteed for 10 years, allowing you to enjoy quality that lasts. Featuring toughened glass, a wide range of colours, a high performance and triple sashed thermally efficient profile, these patio doors excel across the board. Enjoy exceptional design that promises to enhance the comfort and security of your home, today. Choose from a total of 26 high quality, eye-catching colourways and capture the perfect aesthetic for your patio door. This selection allows you to tailor your patio doors perfectly to your home, whether it is traditional or modern. We can also match your colour with complementary, matching cills and trims. Get in touch with us via our online quoting engine to enjoy a highly competitive, online uPVC patio door quote. Alternatively, use our online contact form to speak to a member of our professional team. We’ll be more than happy to help you with any questions you may have.